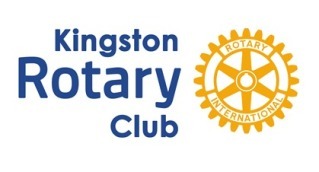 Rotary Club of Kingston upon Thames (“we”) promise to respect the confidentiality of any personal data you share with us, or that we have access to through Rotary International, to keep it safe, and we will always take every effort to protect your privacy. We will only ever share your personal data in other circumstances, not listed above, if we have your explicit and informed consent at the time of collection. However, we may need to disclose your details if required by law to the police, other agencies, for example HMRC, regulatory bodies or our legal advisors. We will only keep your information for as long as we need it to assist you with your enquiry, process your membership, donation, event registration or other services. There are statutory timescales on how long we should keep your information, for example, gift aid transactions must be retained indefinitely, financial records must be kept for 7 years, information associated with Health & Safety for three years after an event. We shall delete your information according to these statutory limits, or according to guidance issued by the Information Commissioner. You have a right of access to your personal data: the right of access allows you to be aware of and verify the lawfulness of the processing of your personal data. You can also request a copy of the information which we hold on you. We may change this privacy Notice from time to time. If we make any significant changes in the way we treat your personal information we will make this clear on our website www.kingstonrotaryclub.org.uk or by notifying you directly.